BLOG — Good Form Design Co. Recent happenings behind a computer, in front of a sketchbook and out in the world with a focus on art and design. I found an old illustration the other day and decided to play around with textures to give it a worn, painted aesthetic. I used a combination of distressed wood and splatter photographs to achieve the final design. 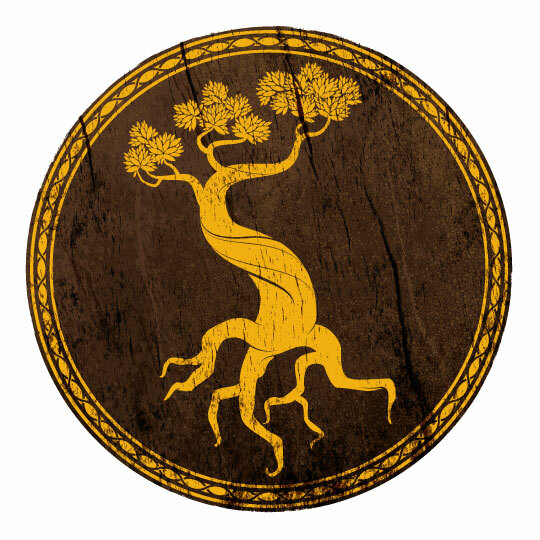 To me it looks like a sigil from Game or Thrones. What do you think? I really love the idea behind The A Store; an online store that promotes and sells the works or local, independent authors, apparel designers and filmmakers. Their schtick is that they have something for everyone; whether it be A book, A hat, or A shirt, there's definitely A something for you. The client wanted a logo that was bright and energetic that reflects their 'something for everyone' motif and this was the design they went with. If you're looking for a unique gift this holiday season, consider the A store and help support your local creatives! This evening's night owl activities involved drawing a bunch of characters, focusing on unique face shapes and expressions; an idea I got from Stephen Silver (an artist I follow on Facebook). It's been a while since I've done one of these exercises, but I'm quite happy with some of the results. I even went back through some of my old sketchbooks from college and it's amazing to see one's progress. Just goes to show that if you keep at something, you are guaranteed to improve. This project was a collaborative effort between Jim Bethke at UCCE San Diego and Beth Grafton Cardwell at Lindcove Research & Extension Center. My task for this project was to create a series of short video clips that illustrate proper sanitation standards for working in a greenhouse environment, specifiacally in an industry that has come under threat from a new introduced pest to citrus in California; the Asian citrus psyllid (ACP for short). Below is one of my favorite clips. Even though it doesn't have any sound, I just really like the camera movement. This link will take you to the playlist with all the other clips I shot and edited. If you have a chance to look through some of them, I'd love to hear your feedback in the comments below. Thanks for viewing! Forgot to post this the other day after Lorin got out out of surgery for knee number two... One could argue that I had more important things to worry about. It's how I envision her as a kid at the beach with her Dad. I ran out of room on the left hand side where I wanted Mac (her dad) to be holding a bag of malasadas from Leonard's in Hawaii. For those that don't know what malasadas are, I feel sorry for you because they are delicious, especially the Haupia filled ones... seriously, google it! Having a client tell you that you nailed it is always a breath of fresh air. As a designer, you hope that all your hard work and critical thinking is aimed in the right direction to produce something your customer will absolutely love. Three of the four initial comps I produced on my latest project were very well received and I'm very much looking forward to finalizing a design and sharing the results with you. My day has officially been made! They are a fantastic resource if you have any questions pertaining to home gardening and pest management. They even have a FREE hotline they can be reached Mon-Fri, 9am to 3pm: (858) 822-6910. Lorin and I finally got a chance to pop by Architectural Salvage of San Diego Sunday afternoon and saw these awesome, dilapidated store front signs. To imagine them in all their glory brings back that childlike sense of wonder and affords a glimpse back at the way things used to be made. I love looking at old things this way. It takes you out of the present and into our past, and as a designer, it sparks inspiration for the next project. One of THE MOST FUN projects I've had the pleasure of working on. The fabulous man below is John Bertsch, owner of the Meshuggah Shack (a coffee join in the Mission Hills neighborhood of San Diego). I shot this video in 2 days for His Kickstarter campaign goal is to raise $43,000 for the building and retrofitting of a shipping container that will be the second installment of the infamous "Shack" in the much anticipated Quartyard project by RAD LAB. Oh, and I've had the coffee... It's DELICIOUS!!! So watch the video, stop by the shack, and support your local business by donating to this great, caffeinated cause! This quick project is for UCCE's GSOB education and outreach program. The project coordinator, Jan asked me to recreate an existing graphic and make it look more modern with a simple look and feel. The new graphic will be used in an online education course (link coming soon). What do you think of the changes? This project was for a local San Diego writer/blogger/storyteller who's site, Adamadventures.com plays host to a bunch of fun, creative short stories, reflections on current events, movie reviews and a soon to be web show. Adam has an affinity for sleuth/detective stories and finds a lot of inspiration for his stories by exploring local hotspots in San Diego's LGBT community, so it was important to really harness those themes in the design. This project was for a buddy of mine that started his own catering business. After being unemployed like so many other good people these days, he decided to do what he knows and loves best, which put him in the kitchen every day making delicious love grub with influences from local Hawaiian, Filipino, Spanish and Chinese cuisines; and let's not forget his mom, for who's cooking he attributes as the foundation for what he creates. For catering information, visit: http://www.facebook.com/farmerandson. 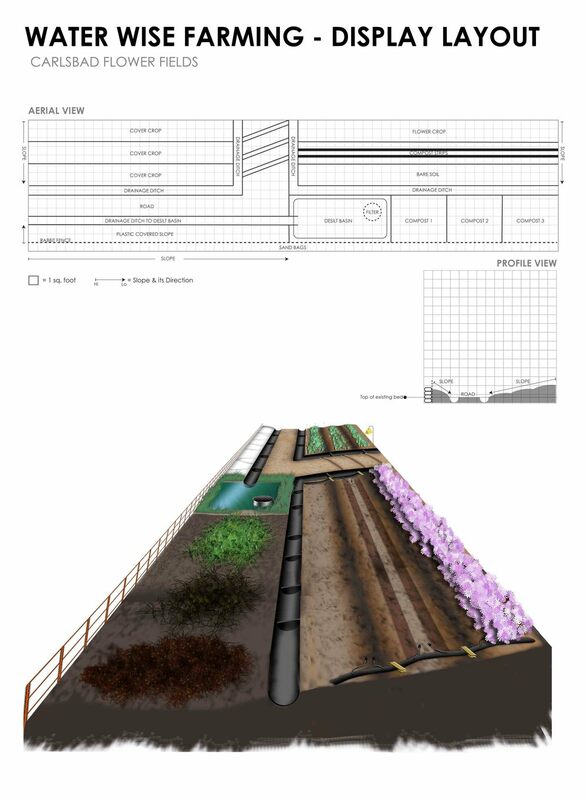 This project was for Ramiro Lobo and his Ag Economics & Small Farms program. Every year, Ramiro holds the Pitahaya Festival/Field Day which introduces his and others research on dragon fruit to the public and commercial growers. He wanted a simple logo which included an illustration of the fruit with limited text. Although it is known globally as Pitahaya, there are variations associated with it so I thought it was important to include those in the design. The fruit also comes in three different colors (red, white and pink) so deciding which color best represented the fruit was crucial. Since the pink varieties are usually the favorite amongst tasters, I decided to go with that. It also happens to be the most vibrant of the three. This project was a joint venture between UC Cooperative Extension and the fine folks at the Flower Fields in Carlsbad Ranch. It was something unique in that I was asked to not only design all the signage for the display, but also provide the layout design for the display itself; something that was completely foreign to me until this point. Isn't that landscape design? I love taking on new challenges and as a designer you have to push yourself into uncharted territory from time to time to expand creatively. Plus, I'm constantly working with spacing and layout anyway, so how hard could it be?! Thanks to Val, Scott, Gary and Loretta; AND Fred and Joni from the Flower Fields, we've been putting this display together annually for the last 4 years! This project is for a co-worker at UC Cooperative Extension who's retiring this year and is starting his own business doing contract work in the invasive weed management field, specifically on large acreages. Carl was one of the easiest clients to work with as he left it up to me to come up with a design that was both unique and indicative of what his business does. We also decided to incorporate one of the runner up ideas into the letterhead which I think intensifies the mood of his business. When you get down to it, he is killing introduced plants that are taking over our native species. If you're interested in learning more about what Carl does, or have use of his services, you can visit his site at http://www.socalinvasives.com. This project was for a restaurant in Hillcrest called the Snooty Asian, and I've got to say, it was one of the most fun jobs I've done in a while. I've always been into character design, but rarely do I get the opportunity to do this type of work; so when the owner Pat asked me to come up with a bunch of "snooty" poses to position this character into for displaying on his walls, I was stoked. Their original logo consisted of just this cartoon tigers head, so I can't take credit for that, however, I think these poses turned out really well and I'm even more elated that they were so well received. I worked on this project over the course of a couple years with Val for her Agricultural Water Quality Research & Education program. Her focus was educating grove managers and agriculture professionals on the hazards of point and non-point source pollution due to water leaving their properties. Working for Val was great because she gave me the reins and said just go for it. You'll notice the icon in the first two example is different than the others and that's because once the program started to gain traction, I brought up the point that her program's logo didn't really hint at having an agricultural presence. Val agreed and I suggested adding the seeding graphic to the middle of the water drop and she was ecstatic with the result and could not believe how much impact such a little tweak could have. If you're part of the agricultural industry and have questions regarding your water quality impact, visit http://ucanr.org/agwaterquality for more information. I really enjoyed working with Jan and Lorin on this project and am very happy with the end result for both the logo and the pamphlet. 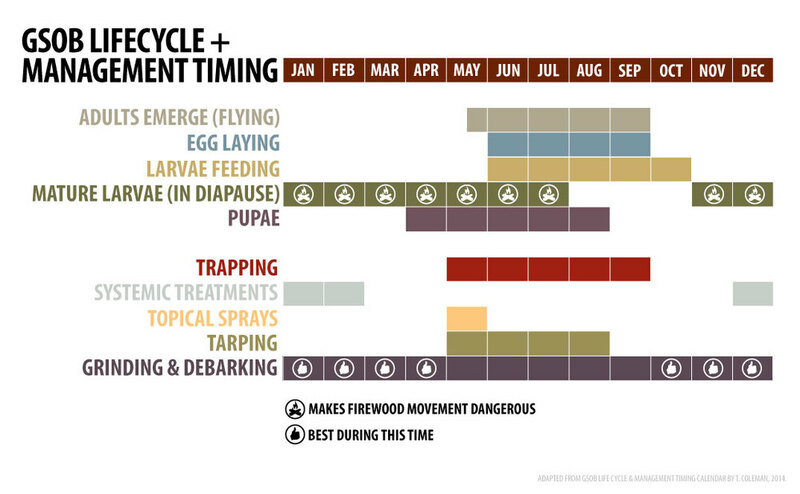 I was especially excited to create the GSOB's lifecycle and "seasoning strategy" graphics as they really help to tell the story of this pest and why it's so devastating. If you have oaks in your yard or near your home and want to learn more about this harmful pest, please visit www.gsob.org for more information. 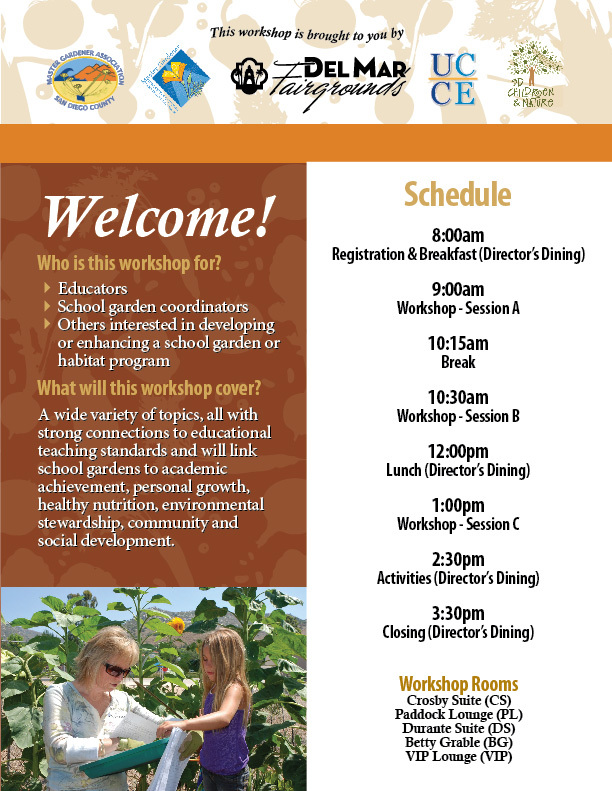 This project was for the San Diego County Master Gardener Program. They focus on educating the public on every aspect of gardening, from plant health and maintenance to pest control and irrigation techniques. This exhibit is a general overview of a butterfly's lifecycle and illustrates what they look for in an environment. If you have any gardening questions, you can reach the Master Gardener hotline at 858-822-6910 or visit their website. This series of projects was for the San Diego Armada, an all inclusive rugby team I played on for 4 years. As a division 4 team, their audience is beginners who have never played rugby or for those who wanted to play on a more social, less competetive team. If you're interested in learning rugby or playing on a team with a great bunch of guys, check 'em out at www.sdarmada.com.